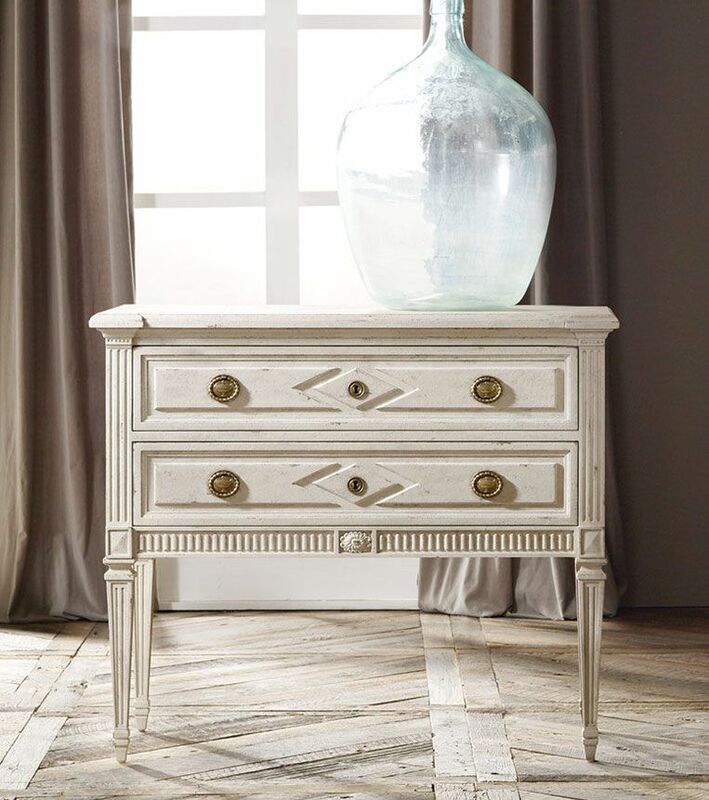 The Paris Two Drawer Commode is classic French design from the period style hardware to the antique white finish. The column square tapered legs have an arrow foot and the decorative keyholes adds instant vintage charm. Ships in 2-3 weeks. If not, custom made in 20 weeks.